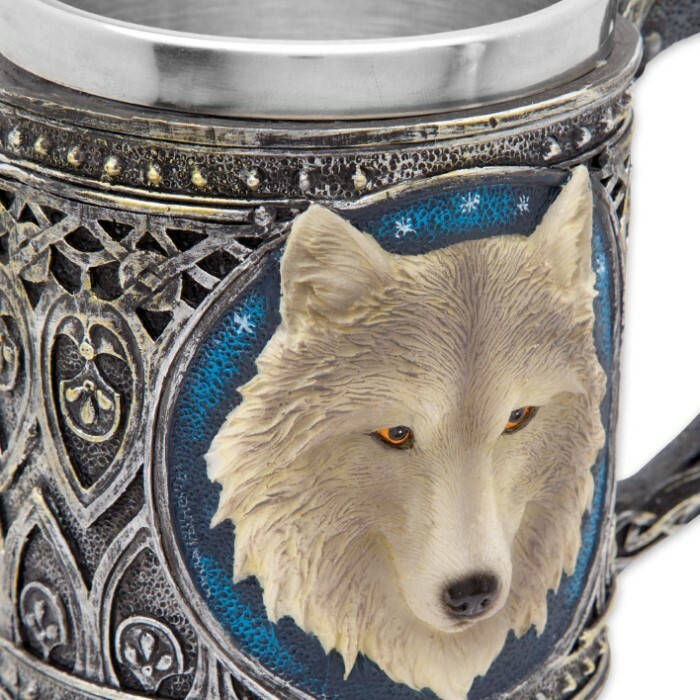 A gorgeous twist on the average humdrum coffee mug, the Moonwolf Tankard is the only truly stunning work-of-art you’ll actually use every day. 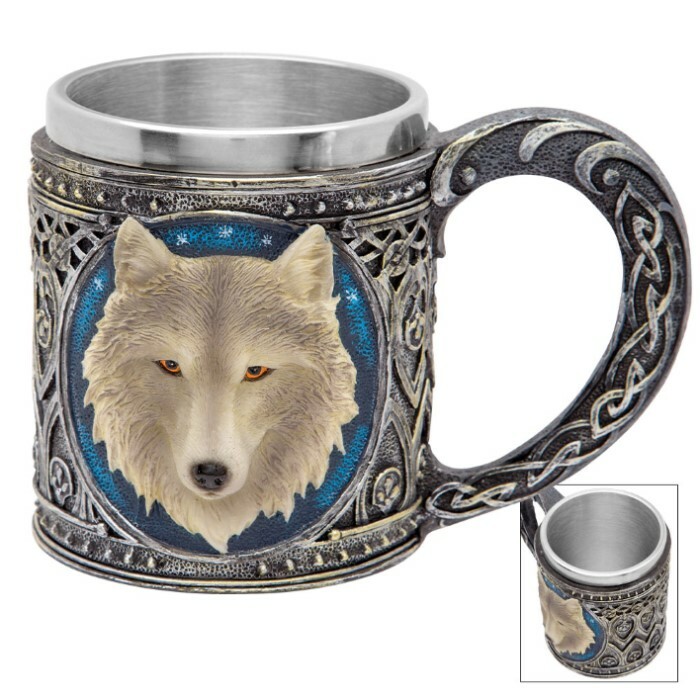 From two sides of the mug, the piercing orange eyes of a beautifully sculpted wolf glare out intensely. The wolf’s head is cast in handsome 3-D relief, exquisitely textured and painted, on a background of midnight blue that pairs perfectly with those penetrating orange eyes. The wolf-and-sky motif is mirrored on the other side of the cup, carefully placed among swirling raised Celtic patterns and lines in colored in simulated antique pewter. All of this is forged with tough cold cast resin – made to last a lifetime. The cup’s inner liner is insulating stainless steel – perfect for hot and cold drinks. 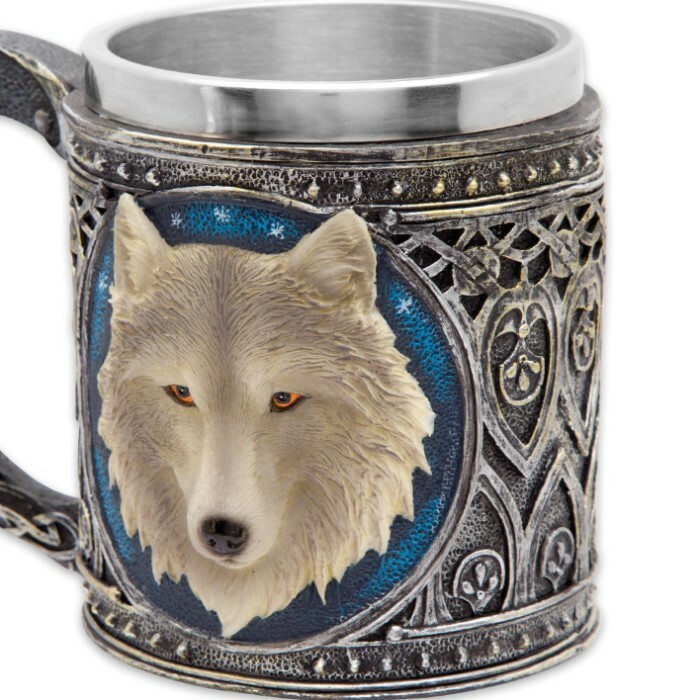 Best of all, it holds 12 oz of your favorite beverage – more than most ordinary coffee mugs. Get one to drink from and one to display; it looks too fantastic to not show it off! Great mug quality made fantastic grift.??????? ?